Lots of room for toys and big rigs. 1,288 Sq. Ft. 3 bedroom, 2 bath, Double Wide Manufactured Home (real property) on 5 partially wooded acres. Covered back deck with 6 person Apollo Voyager Hot Tub. Large 36'x40' shop with an attached 16'x40' lean-to. Shop is wired with 220 power and is on a separate meter from house. Ample RV parking with sewer hook up. Yard has lots of room for a garden. 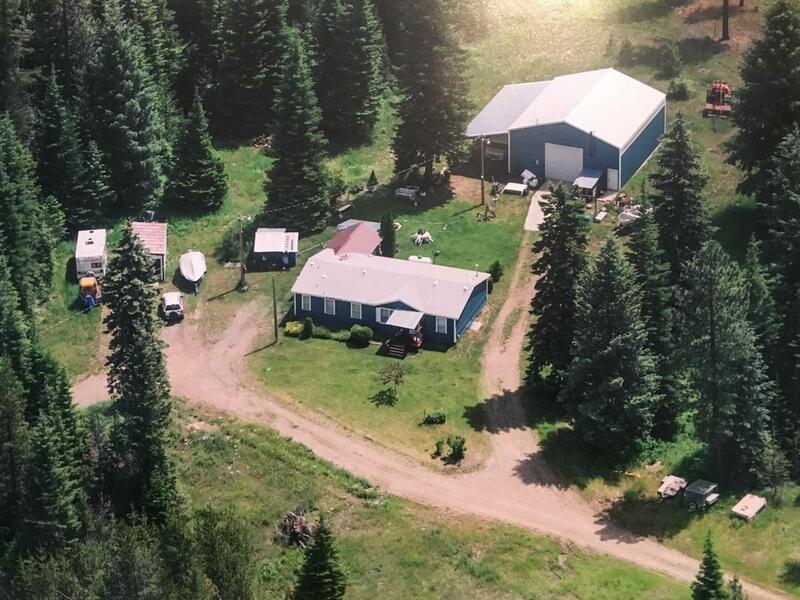 Home is centrally located between Twin Lakes and Spirit Lake. Only 2.5 miles to Twin Lakes Golf Club, 9.5 miles to Silverwood Theme Park and 16 miles to Lake Pend Oreille. 1992 Ford F-150 with snow plow attachment included. Listing provided courtesy of Realteam Real Estate Center. © 2019 Coeur d'Alene MLS. All rights reserved. The data relating to real estate for sale or lease on this web site comes in part from Coeur d'Alene MLS. IDX information is provided exclusively for consumers' personal, non-commercial use and may not be used for any purpose other than to identify prospective properties consumers may be interested in purchasing. Information is deemed reliable but is not guaranteed accurate by the MLS or Link Properties Group.Data last updated: 2019-04-18T08:03:15.427.